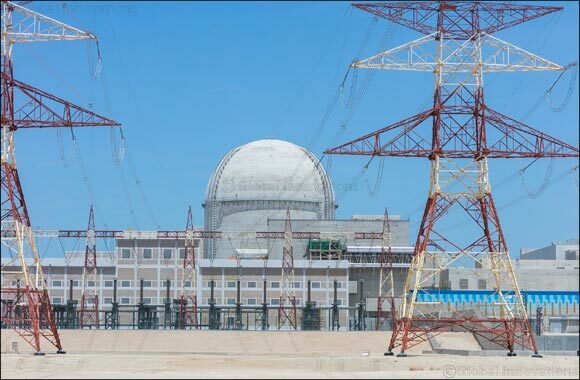 Abu Dhabi, UAE – 31 March 2019: The Emirates Nuclear Energy Corporation (ENEC) has recently completed the Structural Integrity Test (SIT) and Integrated Leak Rate Test (ILRT) at Unit 2 of the Barakah Nuclear Energy Plant. These significant pre-operational tests incorporated all the lessons learned from the same tests on Unit 1, and represent another major achievement in the testing and commissioning phase of the Barakah plant, located in the Al Dhafra region of Abu Dhabi Emirate. The SIT and ILRT were performed over a period of ten days, on the Unit 2 at Barakah. The tests were conducted in collaboration with the Korea Electric Power Corporation (KEPCO), the Joint Venture partner and Prime Contractor for the Barakah project, Nawah Energy Company team, and under the observation of the Federal Authority for Nuclear Regulation (FANR), the UAE’s independent nuclear regulatory body, in order to achieve the highest international standards of quality, safety and efficiency. These tests demonstrate the integrity and robustness of the structure in terms of force and leak tightness, and the structure’s ability to perform safely under normal and extraordinary circumstances. The SIT evaluates the strength of the Reactor Containment Building (RCB), the structure at the heart of the plant, which houses the reactor vessel and major components, by pressurizing and depressurizing the building to simulate regular and extraordinary conditions. Similarly, the ILRT assesses the leak tightness of the containment building under a variety of conditions. “The positive results of these tests demonstrate that the Reactor Containment Building has been constructed in accordance with the highest international safety standards, and displaying exemplary quality performance,” concluded Al Hammadi. Other recent milestones completed safely and successfully on Unit 2 include Cold Hydrostatic Testing (CHT), which verified that the reactor coolant system and other associated systems met FANR’s regulations, and Hot Functional Testing (HFT), during which components were checked for thermal expansion, vibration and wear. Construction of Unit 2 of the Barakah Nuclear Energy Plant began in April 2013, one year after Unit 1 and currently stands at more than 95% complete. All four units at the Barakah Nuclear Energy Plant are progressing safely and steadily, with Unit 1 construction completed and turned over to Nawah Energy Company for preparation to operate, pending regulatory approval. The construction and commissioning of the Barakah Nuclear Energy Plant is progressing steadily. Over the past year, ENEC has achieved a number of significant milestones in the development of all four Units, in accordance with the highest international standards of quality, safety and operational transparency. With Unit 1 construction complete, and Units 2-4 approaching construction completion with overall plant construction standing at over 91%, ENEC continues to demonstrate the benefits of building four identical reactors simultaneously. Lessons learned from the Unit 1 and 2 SIT and ILRT tests will be applied to Units 3 and 4, ensuring the continued implementation of the highest industry standards and best practices. All four units will deliver clean, reliable and efficient electricity to the UAE grid, and once all four units are operational, will produce up to 25% of the UAE’s electricity requirements while preventing the release of more than 21 million tons of greenhouse gas emissions every year.